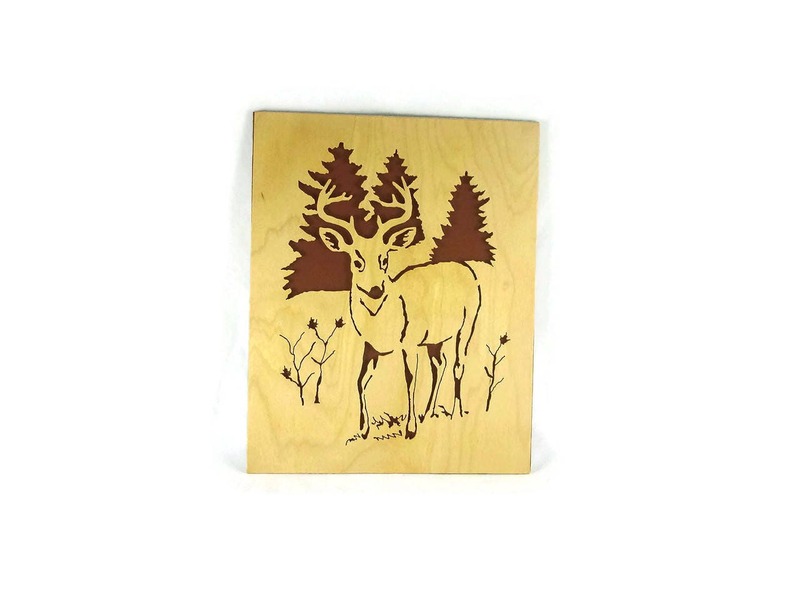 This one is for the Outdoors-man, Sportsman, or just a wildlife lover. 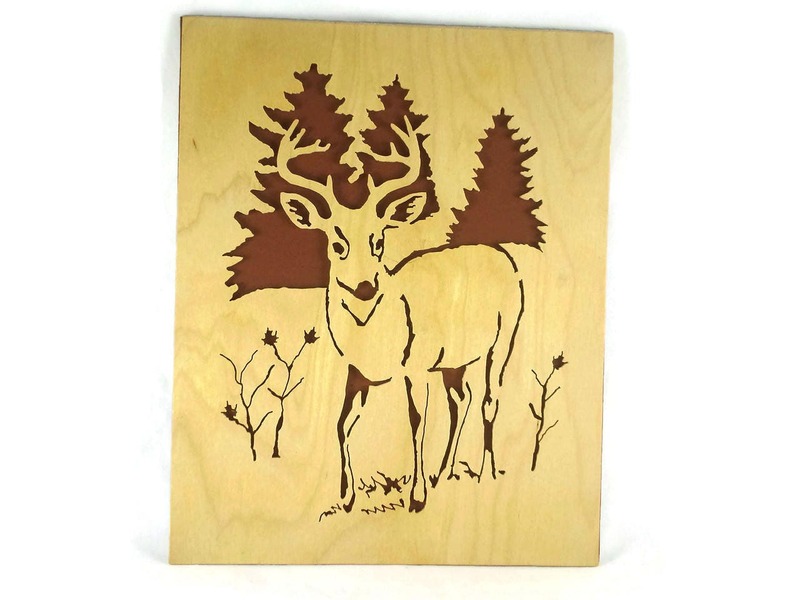 The 1/8 x 8 x 10 inch Birch plywood cutting features a ten point Buck standing in a field with pine trees up on a hill in the background. 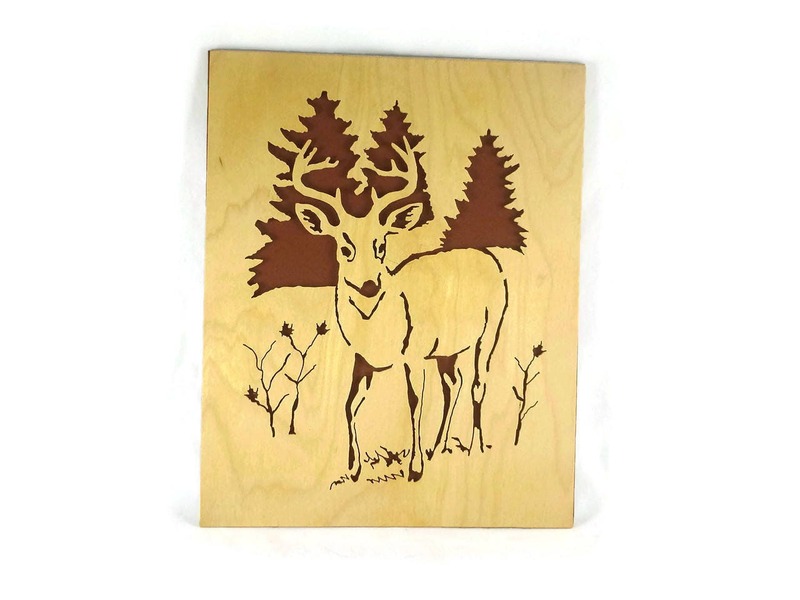 The Beautiful detail of this cutting was completely cut out by hand using a scroll saw as is all my woodworking. 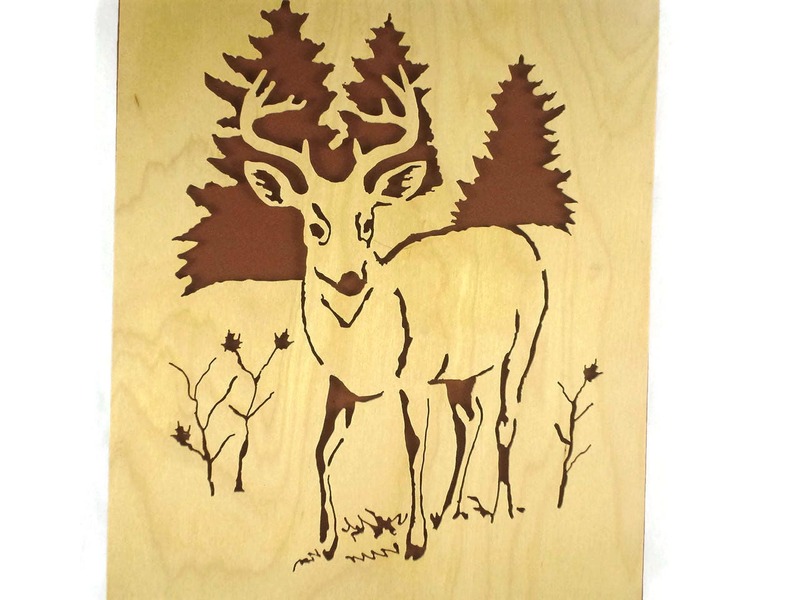 A brown foam sheet backer was glued to the back to bring out the beautiful details of the cutting. A polyurethane clear spray finish was applied to this to protect the wood.